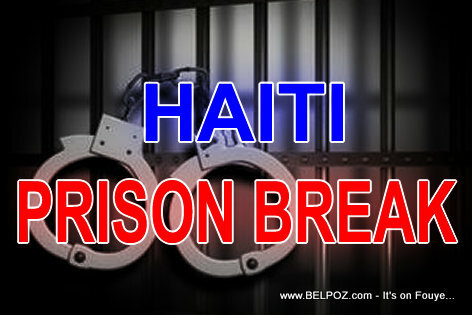 3 prisoners escaped from the civil prison of Croix-des-Bouquets Haiti Last night, Wednesday. No details so far as to how they escaped or how dangerous these prisoners are. According to news reports, one of the escaped prisoners was caught by police; the other two are still at large. This is not the first time prisoners have escaped from the Croix-des-Bouquet prison. What is this thing made out of?